In the early hours of January 21st a report originally headlined “Israel strikes Iranian targets in Syria – military” appeared on the BBC News website’s ‘Middle East’ page. Over the next seven hours the report was amended seven times and it currently goes under the title “Israel hits Iranian and Syrian targets around Damascus – military”. At the top of the article – which is inaccurately tagged as being about the “Syrian civil war” – appears a video captioned “An onlooker captures explosions in the night sky over Damascus”. The video itself is described on-screen as “Facebook diary of a mortar shell in Damascus”. It is of course unclear what “a mortar shell” has to do with this story. “The Israeli military says it has hit Iranian targets around the Syrian capital Damascus. The Israel Defense Forces said the overnight operation targeted the elite Quds Force of the Iranian Revolutionary Guards, as well as Syrian air defences. Four people are reported to have died. Nothing in the BBC’s report suggests that it independently verified that standard Syrian regime claim before choosing to uncritically amplify it twice in the report. The article went on to mention an earlier incident that the BBC did not report at the time. “Israel said it acted after the Quds Forces launched a rocket from Syria over the Golan Heights on Sunday. “The operation comes after Israel said that “a rocket was fired at the northern Golan Heights and was intercepted by the Iron Dome Aerial Defence System”. In fact the Mount Hermon ski resort was not closed after the attack and interception on January 20th but early the next day. 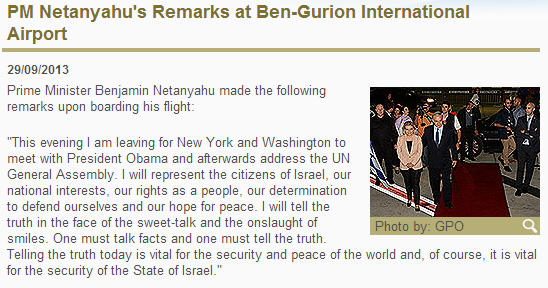 “Israeli Prime Minister Benjamin Netanyahu issued a warning during his visit to Chad on Sunday. Israel’s concerns of course actually relate to Iran’s use of Syria as a forward base from which to attack Israel but BBC audiences were not provided with that information, despite it obviously being essential for proper understanding of the story the article purports to tell. The article then promoted a link to a BBC report from May 2018 which still includes misinformation. That information is apparently not known to whoever produced the map used by the BBC News Twitter account to promote this article to its 24.4 million followers. As we see that map names the Syrian capital and a city which is not the capital of Israel. In addition the Golan Heights is inaccurately marked on that map as part of Syria. Just after midnight on May 10th the attack by Iran that had been anticipated for several days took place in the northern Golan Heights. 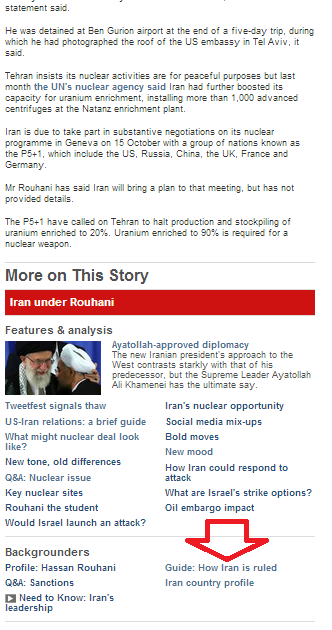 The BBC News website, however, did not appear to be entirely convinced that Iran was behind the missile fire. Apparently the BBC is not persuaded that a foreign power which has moved sufficient military personnel, weapons and equipment into Syria to be able to launch missiles (and previously an armed drone) at a neighbouring country is engaged in military entrenchment. Under the sub-heading “What happened in the Golan?” readers of earlier versions of the article were actually given an account of what subsequently happened in Syria. “The Israel Defense Forces (IDF) says it has targeted dozens of Iranian facilities with air strikes in retaliation for the attack, which has not been confirmed by Iran. It said weapons stores, missile launchers and intelligence facilities were all targeted in the wave of strikes overnight. The BBC did not inform its audiences that residents of ten communities in the Golan Heights – some 24,000 civilians – had to run for shelter when air-raid warnings were sounded just after midnight. Obviously the April 9th attack on the T4 airbase which was attributed to Israel did not come “immediately after” the drone attack which took place two months earlier on February 10th. Iran has not merely “called for” Israel’s destruction but has serially threatened to bring it about while funding and supplying terror groups similarly dedicated to that aim. Remarkably, the three latest versions of the BBC’s report amplified spurious claims from a source based in Coventry and a pro-Syrian regime source that “Israeli forces had fired first”. “The Syrian Observatory for Human Rights, a UK-based group that monitors the civil war in Syria, confirmed that “dozens of rockets” were fired from Quneitra province and the south-western Damascus countryside towards the occupied Golan. It did not identify those responsible, but said the rocket attack came after Israeli forces bombarded Baath, a Syrian-controlled town in the Golan demilitarized zone. A Syrian opposition TV station Tweeted that Hizballah positions near Baath were being targeted almost two hours after the Iranian attack began. Nevertheless – as readers discovered at the end of the article – while apparently not having bothered to verify those claims before publishing them, the BBC does have the time to answer audience questions. Earlier we saw (here and here) how BBC News website reporting on a story that began with the infiltration of an Iranian UAV into Israeli airspace on February 10th focused audience attentions on a subsequent effect rather than on the cause. We also saw how the BBC News website unquestioningly gave amplification to disinformation put out by Iran and Syria while implying to audiences that there is room for doubt regarding the veracity of official Israeli accounts of the events. So did BBC radio do any better? The BBC World Service radio programme ‘Newshour‘ devoted considerable airtime to that story on February 10th. The webpage of the afternoon edition of the programme presented the subject under the title “Israeli Airstrikes Hit Targets In Syria” without any mention of what began the sequence of events: the Iranian drone that infiltrated Israel. Listeners next heard very brief ‘man in the street’ interviews with two anonymous speakers before Marshall went on to unquestioningly parrot Syrian and Iranian propaganda. Audiences then heard a translated recording from Iranian TV. Listeners next got an additional copious dose of Syrian regime messaging from a journalist who has in the past promoted the Assad regime’s denials of use of chemical weapons against Syrian civilians on the Russian government’s RT channel and who was described by Iran’s Press TV as ‘our correspondent’ in a report amplifying previous false Syrian regime claims regarding Israeli planes. Refraining from challenging any aspect of that long repetition of Syrian regime propaganda, Marshall then changed the subject and went on to ask what Damascus residents had heard on the morning of February 10th and whether “any kind of retaliation” is to be expected. After concluding that interview, Marshall introduced both his next guest and the redundant theme of ‘narratives’. The conversation continued with discussion of the war in Syria and Russia’s role in the region. By this time listeners could be forgiven for being confused. Was there an Iranian drone or wasn’t there? Is there an Iranian military presence in Syria or not? Rather than providing audiences with clear, concise and factually accurate information that would (as the BBC’s public purposes require) help them understand this story, the corporation once again opted to promote a ‘he said-she said’ account of events that actively hinders audience understanding. As we see, a considerable portion of this item was devoted to unquestioned amplification of unsupported claims and disinformation from two regimes that curtail media freedom – and much worse. But rather than providing listeners in those countries and others with the accurate and impartial information which would be the antidote to such propaganda, the BBC World Service simply facilitated a wider audience for Iranian and Syrian disinformation and added insult to injury by justifying it as ‘narrative’. And as we will see in part two of this post, that practice continued in a later edition of ‘Newshour’. The recent visit by a delegation of the Palestinian Islamic Jihad to Tehran appears to have borne fruit according to a report published by the London-based newspaper Asharq al-Awsat. “The PIJ delegation was headed by its Secretary General Ramadan Shalah and included his assistants Ziad Nakhleh and military official of the movement Akram Ajuri. It held several public meetings with Iranian leaderships and other private meetings with the Commander of the Iranian National Guard and Commander of the Quds Force Qassem Soleimani. The parties discussed various files that elaborated the Iranian vision for the PIJ Movement in the coming years. One of the major decisions taken by Qassem Soleimani and approved by the political and military offices of the Movement, according to the sources, was restructuring al-Quds Brigades, the armed wing of the PIJ, and assigning Khaled Mansour the general commander of the Brigades in Gazza [sic] Strip. Notably, Mansour is considered to be one of the most prominent leaders who are close to Iran and is respected and honored by the PIJ Movement. Readers may recall that last July the BBC’s Middle East editor assured audiences that improvement in Iran’s finances as a result of the JCPOA would be directed to domestic investment rather than increased support for terror. More recently, in February of this year, BBC News coyly told its audiences that “Iran has been accused of funding militant groups, such as Hezbollah in Lebanon” without providing any relevant background information on the issue of Iranian sponsorship of foreign terror groups. If Asharq al-Awsat’s sources are correct and the Iranian Revolutionary Guard Corps has indeed upgraded ties with its proxy the Palestinian Islamic Jihad, this is obviously yet another example of how the BBC’s lopsided promotion of the notion of ‘reformists and moderates’ in Iran blinkers audiences, diminishing their understanding not only of that country but also of its influence on the Middle East as a whole. Will the BBC report Iranian ‘terror grants’ pledge? 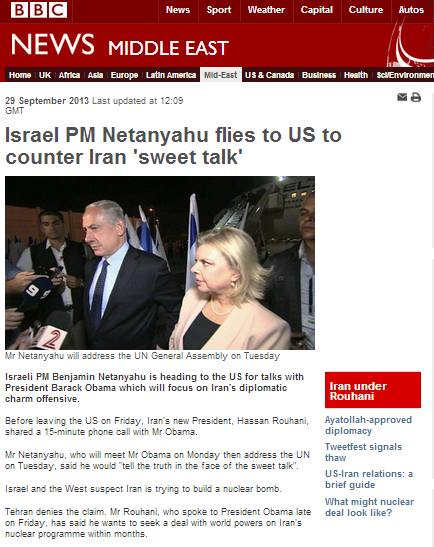 On September 29th 2013 an article titled “Israel PM Netanyahu flies to US to counter Iran ‘sweet talk’” appeared on the Middle East page of the BBC News website. Three sentences of the BBC report are devoted to the subject of information regarding the arrest of a suspected Iranian spy earlier in the month which was made public by the security services. “Hours after Mr Netanyahu’s plane took off for New York, Israel’s Shin Bet intelligence service disclosed that a Belgian man of Iranian origin had been arrested on 11 September on suspicion of spying. Ali Mansouri, 50, entered Israel under the name Alex Mans and had been sent by Iran’s Revolutionary Guard elite Quds force, a Shin Bet statement said. The BBC’s claim that “he had photographed the roof of the US embassy” of course suggests that was all that Mansouri photographed – which is clearly not the case, as seen in other news reports and in the ISA statement. The BBC article refrains from informing readers that Mansouri had made two earlier trips to Israel in 2012 and 2013 and it neglects to provide audiences with any context whatsoever regarding the range of activities carried out by the IRGC Quds Force. The only additional information provided on that subject comes in a June 2009 article titled “Guide: How Iran is ruled” which appears in the “backgrounders” section at the bottom of the report. There, readers are given a very anodyne – and very much out of date – short profile of the IRGC. “The armed forces comprise the Revolutionary Guard and the regular forces. The two bodies are under a joint general command. All leading army and Revolutionary Guard commanders are appointed by the Supreme Leader and are answerable only to him. The Revolutionary Guard was formed after the revolution to protect the new leaders and institutions and to fight those opposing the revolution. BBC audiences are not told about the IRGC-QF’s connections with Hizballah and other terrorist organisations, its presence in Syria and Lebanon or its own terrorist activities, including those against Israeli targets in recent years. Without that vital context, it is unlikely that the majority of readers would understand the full significance of Mansouri’s arrest. Additional BBC background material not linked to in this report – but available via an internet search – comprises an equally antiquated profile of the IRGC dating from October 2009 and a report on the IRGC’s business interests from July 2010.